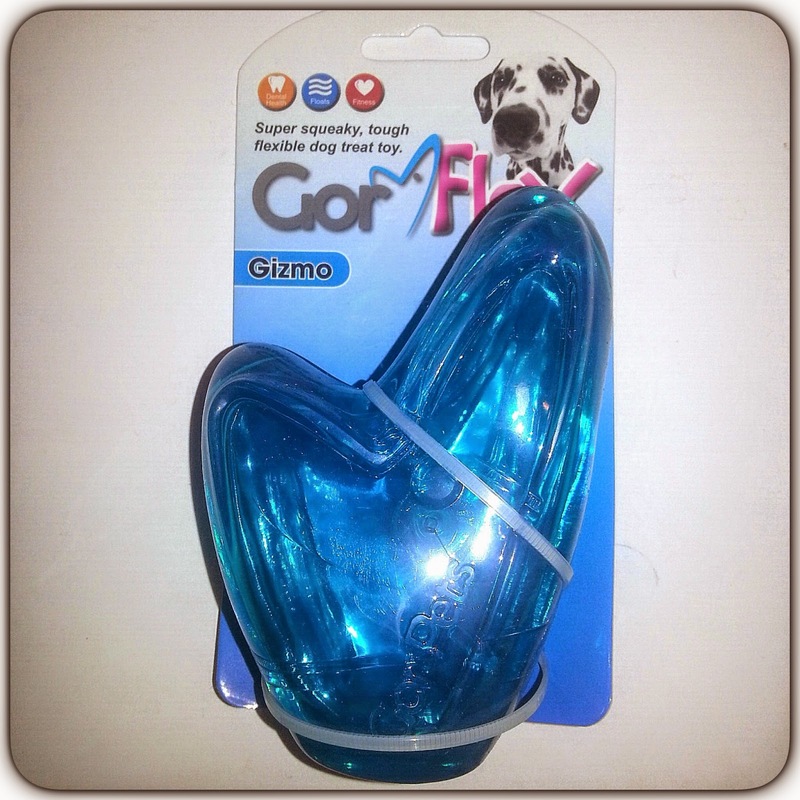 Next up in the goodies that Gor Pets sent my Hooman to review, was the Gor Flex Gizmo. The Gor Flex range is made using TPR (thermoplastic rubber) which offers a superb combination of rubber and plastic to give a very tough and flexible toy. The signature Gizmo toy from Gor Pets has an encased squeaker which means even if the toy is pierced it still continues to squeak. 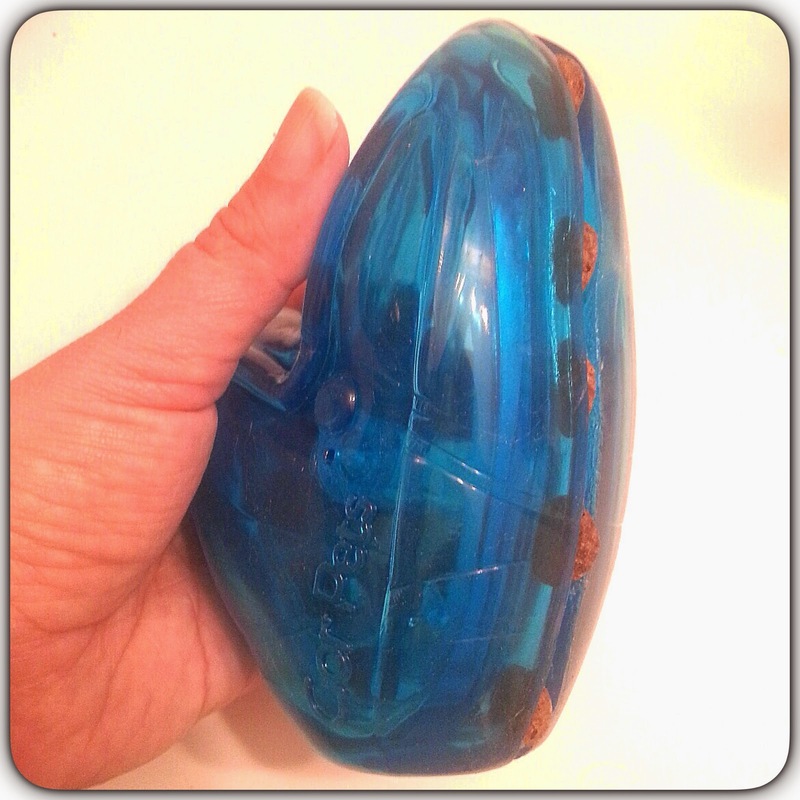 It also has a groove around the toy to insert small treats. 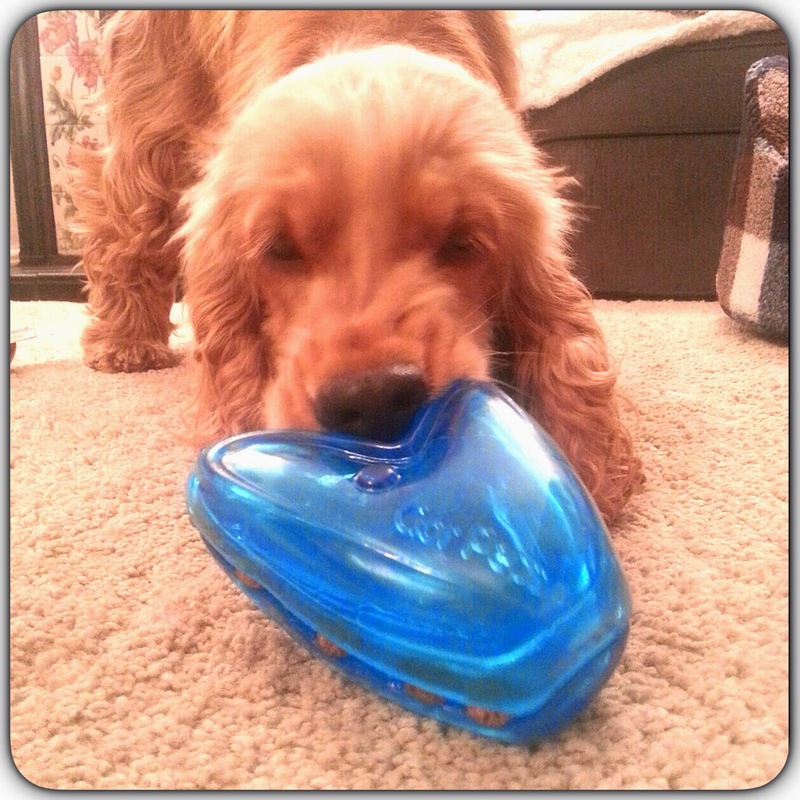 Gizmo squeaks and has treats, making this the ultimate dog toy. 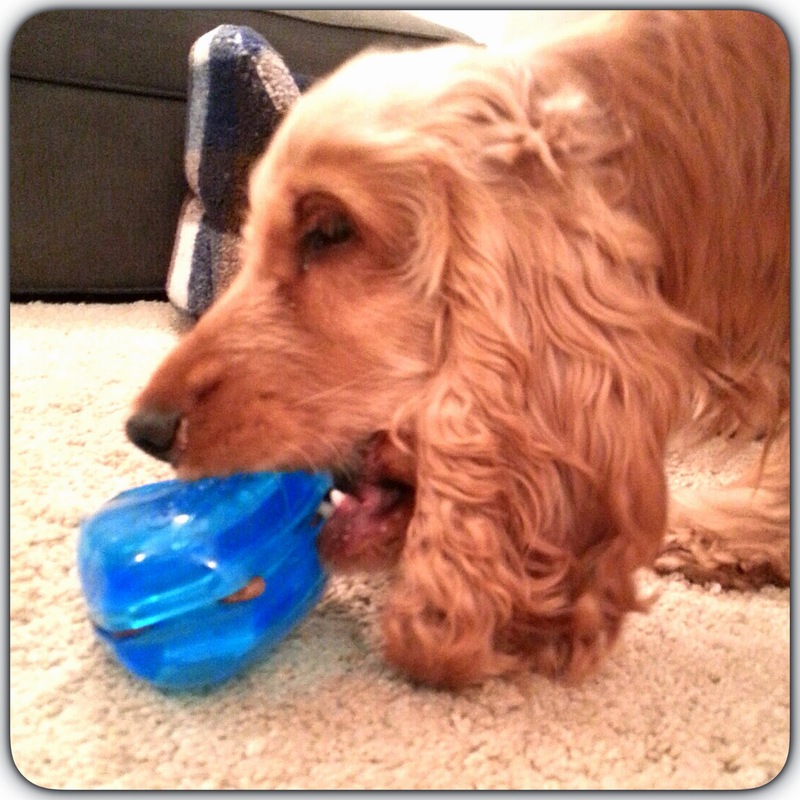 The Flex material ensures long lasting funtime for your dog. I don't have a great history with these types of toys. Kongs have not kept me hugely emertained - when I was a tiny pup, Hooman used to read about how wonderful Kongs were at keeping your puppy distracted, relaxed and entertained. I just used to ignore them and howl like a banshee, heehee (luckily I grew out of that). But I still prefer my soft cuddlies. But this has a squeaky. 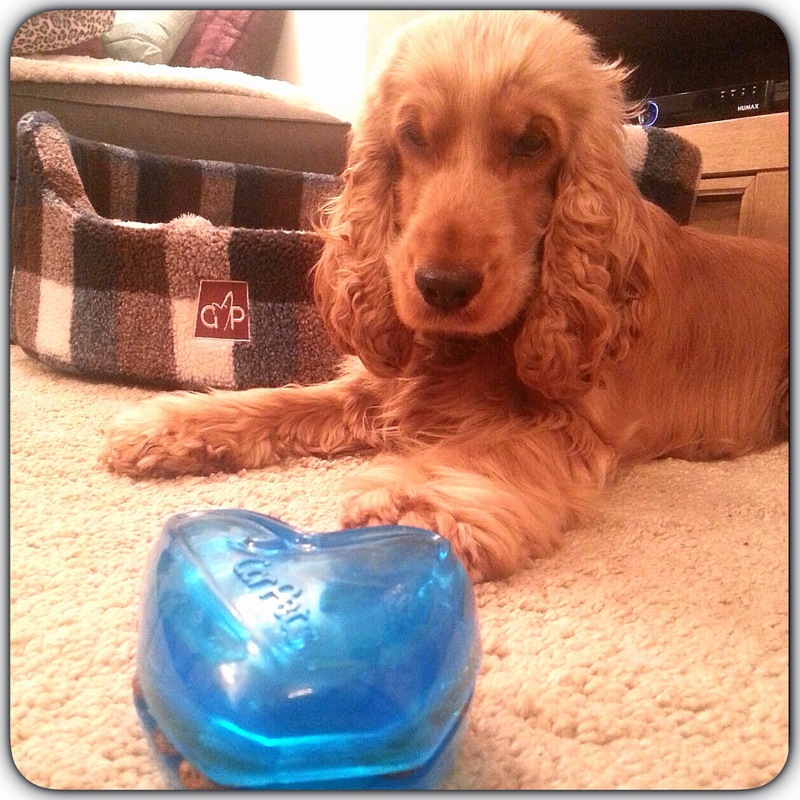 I luffs squeakies! So Hooman dutifully stuffed a few bits of a free sample of Lily's Kitchen kibble she had lying around, around the groovy groove bit. Now I didn't play with it for ages, but it was a new record for this type of toy and it kept me entertained for twenty minutes, before I got thoroughly exhausted by it all and had to have a snooze. I was a little bemused by it at first, but got the hang of it when a few bits of kibble fell out. This toy would be great for those doggies who like a really good chew - the squeaky will still work when pierced which is really clever, and it is made of good tuff stuff! 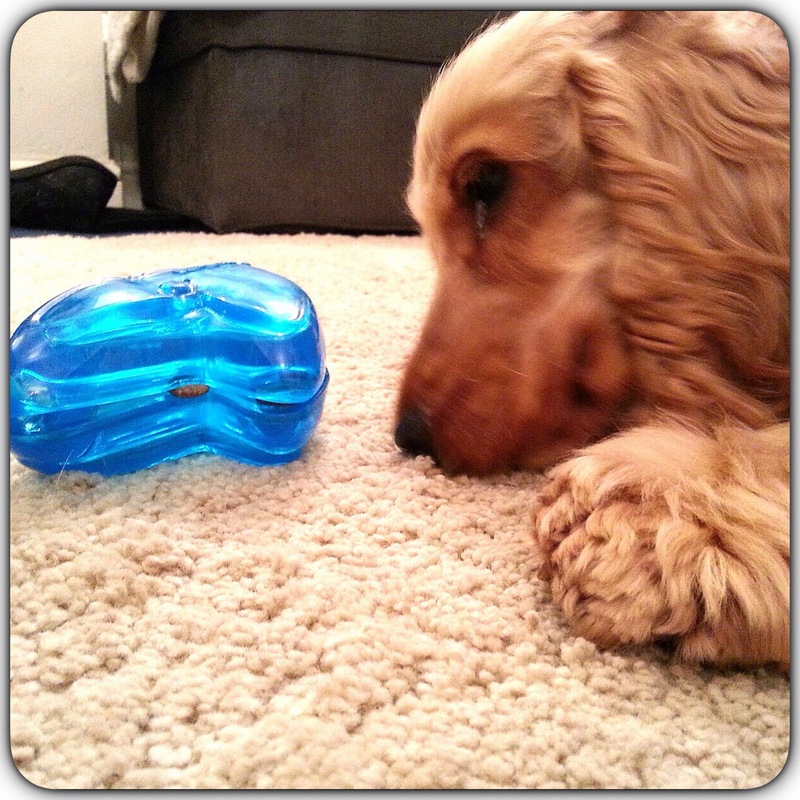 So if you are looking for a new toy to entertain your dog, this could be worth a try! 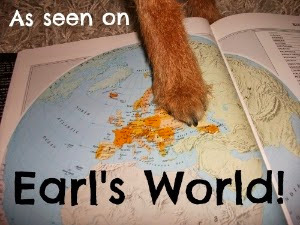 For a Gor Pet stockist, click here. Lovely colour and I also know where we can get one.... great. my hooman says how many pennies, I say its very rude to ask - I have manners!